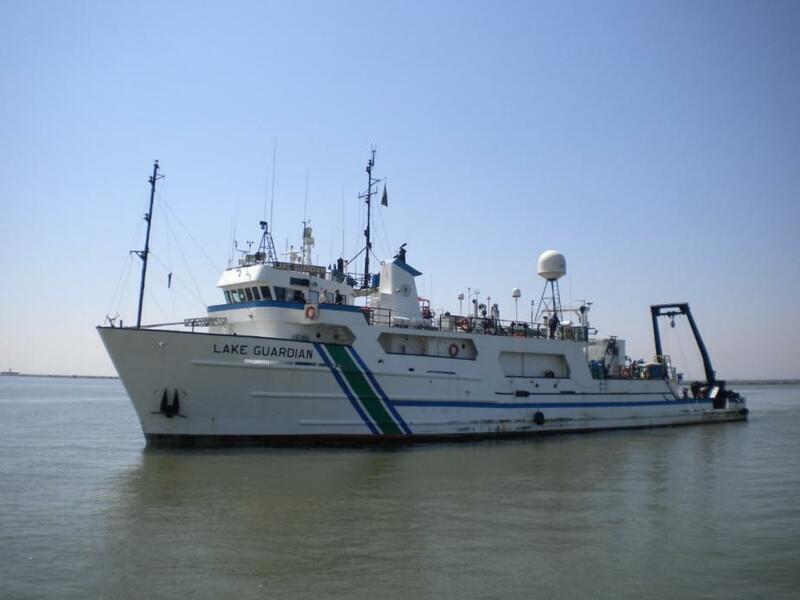 This research took place aboard the R/V Lake Guardian, the EPA's boat that samples the Great Lakes each year. Research happens 24 hours a day on the Lake Guardian! 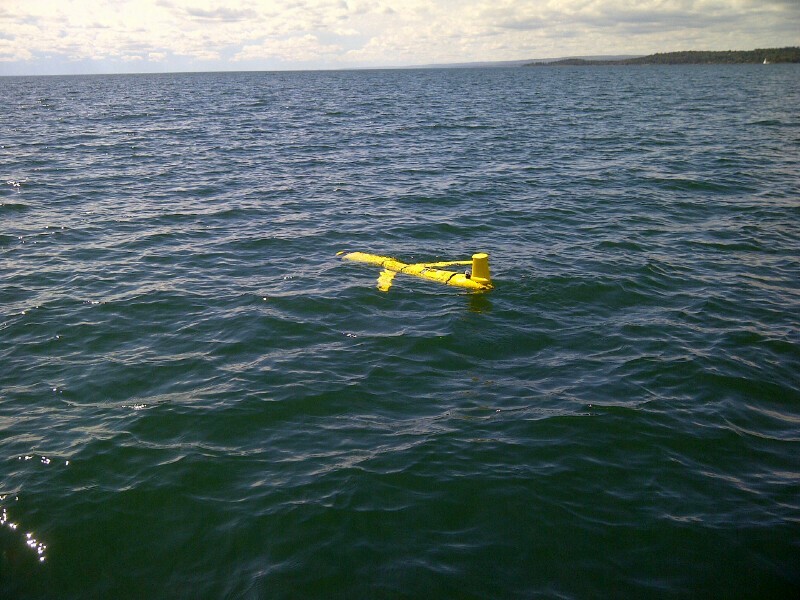 A glider was used to autonomously collect data in the Great Lakes.  A sediment corer was used to collect sediments at some sites. Susie and three others prepare to deploy it. Two people steady a metal frame as it is lowered over the side of a large boat. 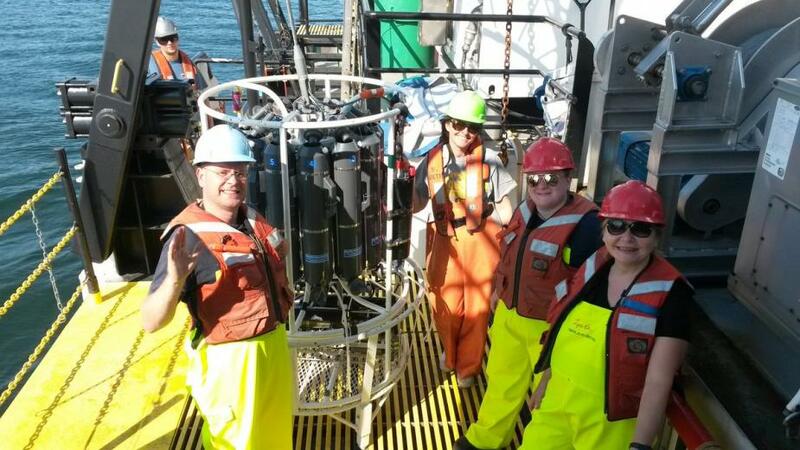 The sediment corer is back and the tubes are filled with sediment. Knut Mehler, Elizabeth Hinchey-Malloy (EPA), Brianne Tulumello, and Lyuba Burlakova next to the rosette. Keith Pawlowski (GLES) tries on the survival suit. Everyone has to try it on at least once for safety training. 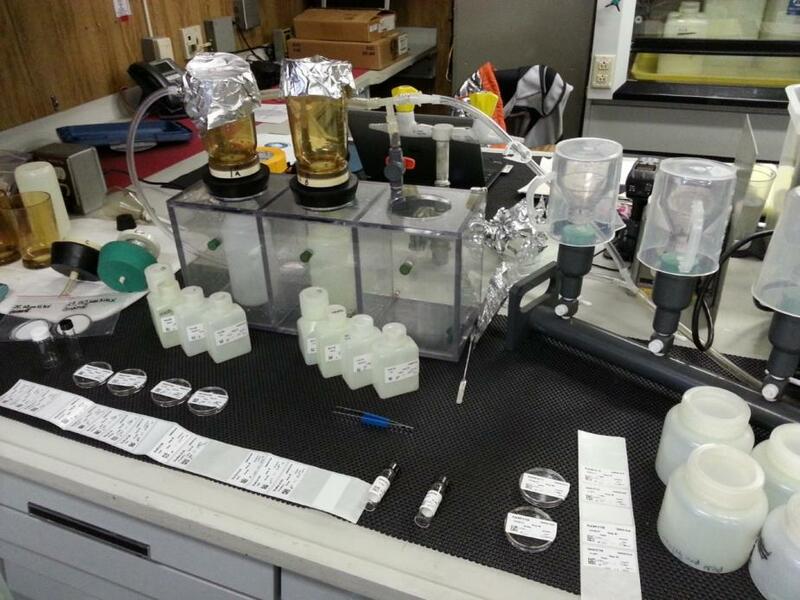 The lab set up for the chlorophyll and zooplankton samples done by our collaborators at Cornell. A nice day on the Great Lakes. Since we work on the boat 24 hours a day there are many opportunities to see sunrises and sunsets!